Smart Sport International - What Is SSI? Smart Sport International (SSI) is, in the broadest sense, a seamless integration between health care and human performance. 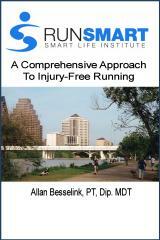 The mission of SSI is to provide a seamless integration of sports science solutions for training, rehab, and life. For recreational and elite athletes – and those new to exercise – Smart Sport International (SSI) provides physical therapy, along with individualized and group coaching and mentoring services. Smart Sport International is part of the Smart Life Institute. Further information on Smart Sport International can be found on the Smart Life Institute website.